Napa, CA— July 11, 2013— Wine Industry Technology Symposium (WITS) today announced its final agenda and speakers for the 9th annual event to be held July 15 & 16 in Napa, CA. 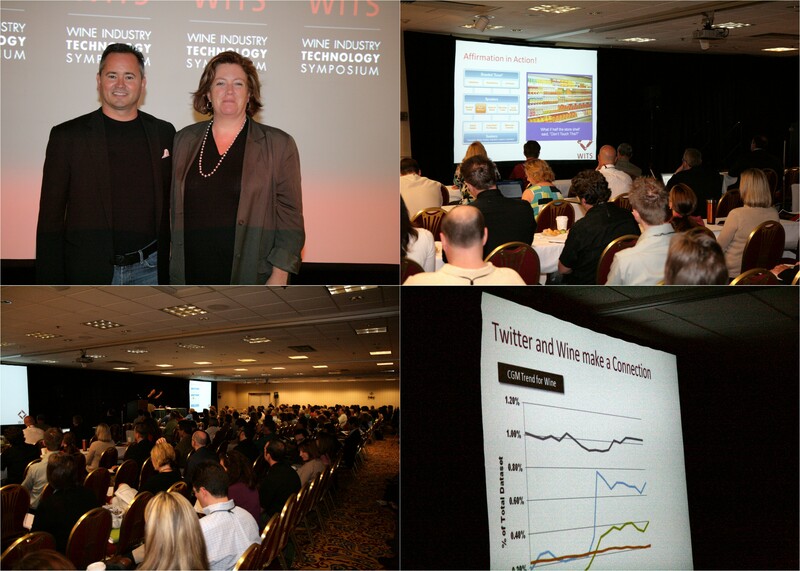 Keynotes bring elite leadership, social media and the transformative cloud to the wine industry. If Technology is the making, modification, usage, and knowledge of tools, machines, techniques, crafts, systems, and methods of organization, in order to solve a problem, improve a preexisting solution to a problem, achieve a goal, handle an applied input/output relation or perform a specific function, WITS mission is the creation of a safe environment to challenge assumptions in order to elevate the wine industry’s strategic use of technology to achieve superior results. Over the years, WITS has done exactly this, by hosting the Chief Information Officer CIO Forum, providing thought provoking keynote speakers, delivering hands on break out sessions, profiling a technology showcase while fostering extensive networking opportunities for all attendees. This 9th conference promises to be the best ever! If you are involved in using, choosing or creating technology for your wine related business, you really don’t want to miss this once a year opportunity. Jonathan Good, Senior SMR Solutions at Oracle will speak on “Developing a Social Relationship Management Strategy for Wine ” building on his experience as founder of HelloSocialMedia.com – a social media and marketing agency that focused on the creation and execution of social media programs, including blogging, community development, Internet marketing, design and web development. Miles Ward, Solutions Architect, Amazon Web Services will speak about Big Data for Real World Businesses showing tools, techniques and clear ROI for analysis in the cloud. Miles helped NASA live-stream the Mars Rover landing, developed the online Obama For America 2012 presidential campaign, and has helped thousands of companies make the leap to the cloud. Award-winning serial entrepreneur and successful luxury hotel owner, author, speaker, and former U.S. Army Green Beret Larry Broughton shares his insights on transforming ordinary teams into extraordinary ones. About WITS: The Wine Industry Technology Symposium® (WITS) is the focal point for thought leadership in the strategic and tactical use of technology in the global wine industry. WITS was created in 2005 by a group of wine industry and technology professionals to advance innovation and to address the unique information technology and services needs of the wine industry. The 9th annual WITS is July 15 & 16 in Napa, CA. Join WITS on Youtube, Twitter, Facebook, and LinkedIn to learn more.